All the flavour and nearly half the calories! I love a hearty, creamy bowl of soup, me. Especially when the winds are howling outside and you want something warm and comforting. Alas, most creamy soup recipes use a ridiculous amount of double cream – something I just can’t afford to eat right now while I’m trying to shed a few pounds. I read something over on Becca’s food blog – Amuse Your Bouche – recently, which I filed away in my brain for future use. She’d thickened a gorgeous Extra Creamy Leek & Potato Soup with cornflour and was raving on about how delicious and creamy it was. I had to try this out myself! The sun came out yesterday, in between days of hurricane force winds. Inspired by the brief return of daylight (and opportunity to take some food photos!) and a single celeriac languishing in the bottom of my vegetable crisper for slightly too long (it was desperately needing used up!) I made this soup recipe for lunch, and I have to say I was really rather impressed with it. The recipe makes enough soup for four hearty bowls, none of this “regular recipe divided into eight portions to keep the calorie content down” like a lot of diet recipes (seriously – I made a cashew yogurt recipe a few weeks ago because they said it was low calorie and tasty – it turns out that each serving was only two tablespoons – and it was yuck!). No, this is a full, hearty bowl with a good mouth chew in each spoonful. You actually feel like you are eating something with this soup, not a watery bowl of vegetables. A bowl of this soup and four mini oatcakes and I was set for an hour’s hill walking with the family during our brief reprieve from the winter storms. Celeriac is an underused vegetable, I think. To be honest, I’d never even tried one until they started appearing in my organic vegetable boxes, and now I look forward to them. They’re not starchy (and subsequently high in carbs) like potatoes but they do make a deliciously creamy low calorie soup. If I was to use double cream in this recipe, like I normally would, that would add an extra 702 calories to it – making each bowl a whopping 315 kcal. Replacing the double cream with cornflour thickened soya milk means each hearty bowlful comes in at a mere 168 kcal, without compromising any flavour. A proper, filling, creamy bowl of hearty soup - and low calorie too! Heat oil in a large pan. Gently saute the onion and garlic until it begins to soften, about five minutes. Add the celeriac, apple and vegetable stock and simmer, gently, until tender. About 20-25 minutes. Puree in a blender, rinse out the pan and return the soup to the pan. 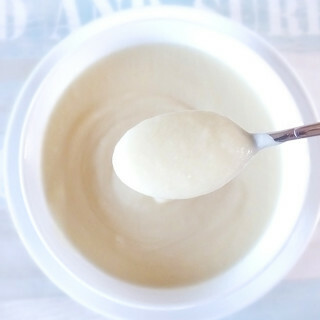 Dissolve the cornflour in a little bit of soy milk and add, along with the rest of the soy milk, to the pan. Stir until thickened. Season with sea salt and freshly ground pepper, to taste. This recipe is part of the Jumpstart 2015 food blogging challenge – a group of us food bloggers have decided to jump start this year by including more juices, smoothies and soups in our diets, and sharing our recipes and weight loss progress as we go along. 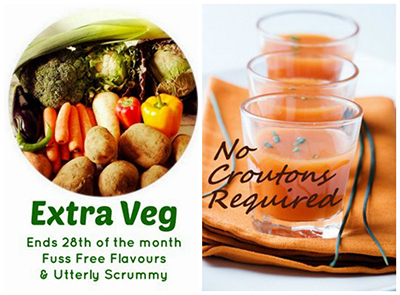 I am also linking up with Extra Veg, co-hosted my Michelle over at Utterly Scrummy and Helen at Fuss Free Flavours and No Croutons Required, a soup and salad challenge by Jacqueline over at Tinned Tomatoes and Lisa at Lisa’s Kitchen. 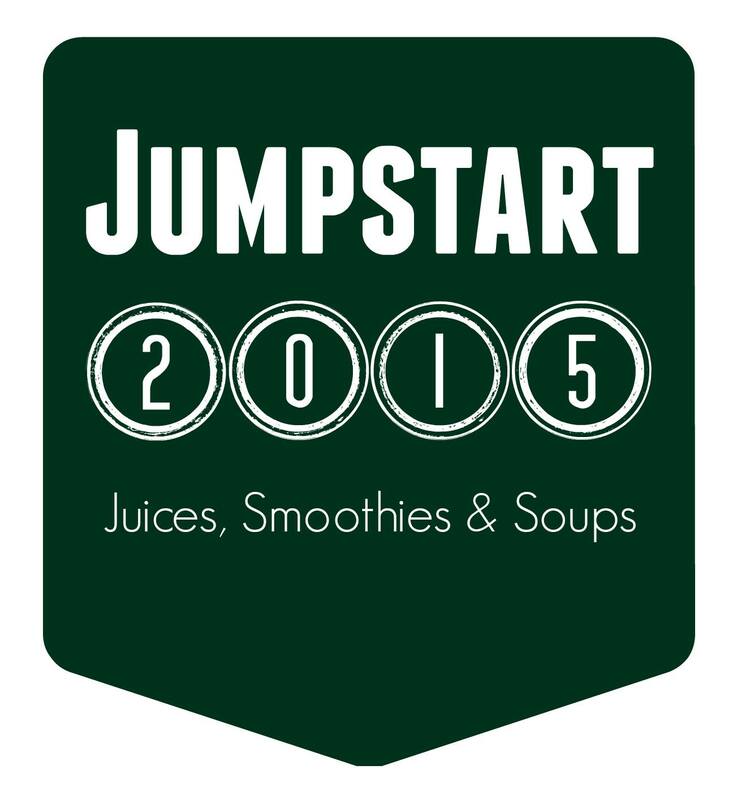 Follow Jacqueline Meldrum’s board Jumpstart 2015 on Pinterest. Disclosure: This post contains an affiliate link. 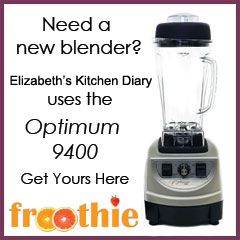 Elizabeth’s Kitchen Diary is a Froothie ambassador, and if you buy an Optimum 9400 blender through the link provided I will get a small commission. This is not a paid post and all thoughts and opinions expressed are my own. I like that you are combining the sweet crunchiness of the apple with the bitter texture of celery. I bet that makes for a winning combination? Celeriac is much underrated in my opinion. Mmm, that looks like a lovely change from the usual orange/red soups. I’ll be giving this a try. That sounds like a divine and comforting bowl of soup. Thanks for sharing with NCR. I like the use of soy milk instead of cream. Looks absolutely delicious… will definitely give it a try, especially like that it’s low fat! Love the look of this & so quick too! This will taste a lot more lux and creamy than the mere calories say. Looks delicious and perfect for this wintry weather! Love this tip for making soups creamy. I’ve jumped in with the Jumpstart15 too and I’m really enjoying it. Wish I could do some hill walking as part of my get fitter regime but going to the beach isn’t bad either. This looks so delicious & warming. With only 168 calories you can’t go wrong! Yum! 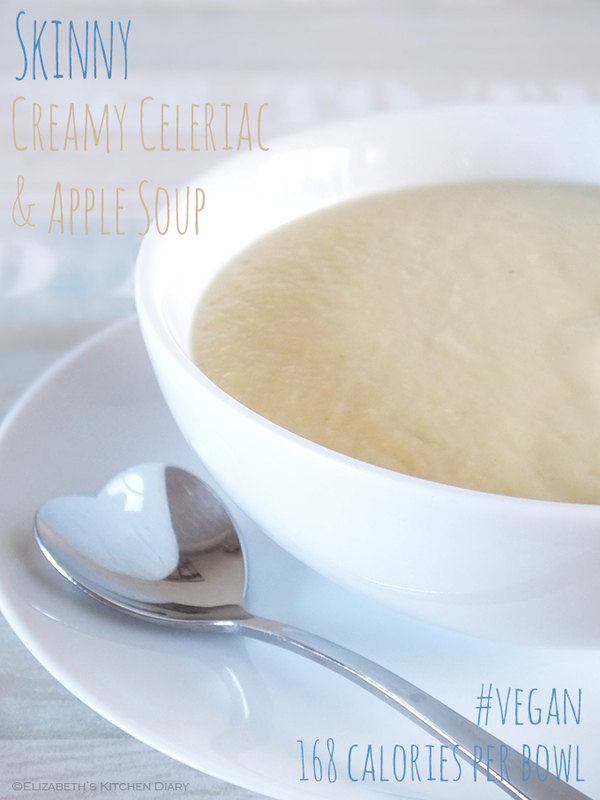 I love celeriac in soup. We always add cornflour to ours too and it’s a nice way to make it creamier. Thanks Jac, and thanks for organizing such a great event! A little bit of sweetness never did any harm 🙂 You’re right though, just a touch can really enhance a dish. Wow, great tip. I know I say this about a lot of recipes by I really must try this. Ok so I always intend to try everything I saw I will but I’m guilty of getting distracted by the next recipe so end up missing most of them. However, I reeeeeeaaallllly want to try this after having discovered how much I like celeriac in a pasta dish last month. And that heart shaped spoon? So cute!